Posted by OromianEconomist in Ethiopia's Colonizing Structure and the Development Problems of People of Oromia, Afar, Ogaden, Sidama, Southern Ethiopia and the Omo Valley, Ethiopian Empire, Ethnic Cleansing, Horn of Africa Affairs, Human Rights. For the last 26 years, Ethiopia has been suffering from a super centralized TPLF autocratic, barbaric and terroristic rule. It is beyond dispute that the recent event witnessed in Eastern and Southern Oromia is nothing but TPLF’s last ditch futile effort at the triangulation and expansion of the conflict in the face of the ongoing broad based and persistent opposition to its repression. The Oromo, Amhara, Somali, Sidama, Gurage, Wolayita and the other Ethiopian peoples are saying NO, in one voice, to the decades of repressions, killings, incarcerations, humiliations, displacements and robberies of their resources by the TPLF junta. The Ethiopian people are rising in unison to break out of the shackles of slavery and fear the TPLF has put them in. It is a well established fact TPLF’s longstanding strategy of diffusing bipolar conflicts between itself and the Oromo, Amhara, Somali, Sidama or Gurage people –just to mention the major heavy weights in Ethiopian politics in terms of shear demographic size – is triangulation of the conflict. For instance, the TPLF always attempts to add a front to the real conflict between itself and the Oromo people and between itself and the Amhara people by inciting (fabricating) conflict between the Oromo and Amhara peoples. Based on this strategy, the TPLF has been attempting incessantly for the last 26 years to incite conflicts mainly between the Oromo and Amhara peoples. Fortunately, the diabolical efforts by the TPLF has been rendered for the most part pre-emptively ineffective thanks to the long history of peaceful coexistence between the two peoples. Moreover, the massive demonstrations held in Oromia and Amhara States over the recent years put, in no uncertain terms, the final nail to the coffin of this TPLF’s savage strategy triangulating the conflict as TPLF-Oromo-Amhara conflict. The dumb-founded TPLF was left with nothing but to whisk a few bribed Somali elders carrying a “10 million birr donation check” to Mekele instructing them to tell the people of Tigray that they are not alone in this and that the Somali people are by their side. This was intended not only to calm the Tigray people who have been growing increasingly isolated, nervous and uncomfortable by the latest cascades of erratic and impulsive reactions by the TPLF to suppress the popular demands but it was also to officially declare that the efforts to triangulate the conflict is moving East. It is obvious that since the strategy of triangulation of the TPLF-Oromo people bipolar conflict or TPLF-Amhara people bipolar conflict has been dealt a final blow, TPLF was forced to play what it thought was its next best card from the few diminishing cards left in its hands. In a very interesting twist of events, Seye Abraha, a rebel commander-turned-defense minister who was a member of the Politburo of the TPLF and who is believed to be one of the main authors and architects of the TPLF war doctrine went to the same place, Easter Ethiopia, in 1991 in relation to the TPLF-Oromo conflict and bragged something to the effect of “…TPLF can create a war let alone winning a war….” Fast forward – we are here today. Alas, terrorist TPLF is at it again – trying to transplant the vortex of conflict at Oromia-Somali border in order to open a new front on the Oromo people for being on the forefront of the struggle of the Ethiopian people for peace, freedom, justice and democracy. So it is evidently clear that what we are seeing unfolding right in front of our eyes in Eastern Oromia today is nothing but that strategy of the triangulation of conflict at work. The current horrendous situation the barbaric and kleptomaniac dictatorial TPLF regime has put Ethiopian in has brought the debate on ethnic based federalism back into the spotlight. Nowadays, barely a minute goes by without hearing or seeing the opponents of the ethnic based form of federalism in Ethiopia attempting to pound on ethnic federalism to gain the maximum political capital possible out of the bad situations and the suffering of the innocent victims of the TPLF led state terrorism. The veteran as well as the newly minted opponents of ethnic federalism are shouting at the height of their voices using any platform they can find that the ongoing war perpetuated by the TPLF regime against the Oromo people, particularly in Eastern and Southeastern Oromia, is yet another irrefutable proof for the failure of ethnic federalism in Ethiopia. They even go as far as arguing that ethnic federalism has failed in Ethiopia in and of itself out of its own shear weight and inherent nature and not because of the failure of the TPLF to implement it whole-heartedly. The way the opponents are trying to frame the debate betrays their frantic jubilant mood as if their longstanding dream had come true. Before I delve into the counter arguments made by the proponents of ethnic federalism, allow me to throw in a few sentences about the war the TPLF is waging against the Ethiopian people of Oromo origin in Eastern Oromia. It is beyond dispute that the recent event witnessed in Eastern and Southern Oromia is nothing but TPLF’s last ditch futile effort at the triangulation and expansion of the conflict in the face of the ongoing broad based and persistent opposition to its repression. The Oromo, Amhara, Somali, Sidama, Gurage, Wolayita and the other Ethiopian peoples are saying NO, in one voice, to the decades of repressions, killings, incarcerations, humiliations, displacements and robberies of their resources by the TPLF junta. The Ethiopian people are rising in unison to break out of the shackles of slavery and fear the TPLF has put them in. Apologies for digressing more than I initially wanted. Going back to my main theme of this writing, the proponents of ethnic federalism are also making their point by arguing that what is certain to have failed in Ethiopia is not the ethnic federalism form of state but the absolute centralism that has bedeviled Ethiopia for over a century. They argue that the absolute unitary dictatorship (one language and one religion policy, among others) had been tried fiercely and in earnest (whole-heartedly with absolute commitment, giving it all they had and to the fullest extent possible) in Ethiopia from Menilik to Haile Selassie to Mengistu for over a century but it failed and failed miserably. The TPLF has continued the same old tired unitary militaristic dictatorship with a thinly veiled facade of federalism. 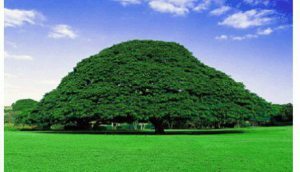 If there is anything that makes the TPLF regime different from its predecessors, it is its pretension and con artistry to create an illusion of change by marginally changing the form without changing the substance an iota, none whatsoever. Ethiopia has never tried federalism of any form nor democracy in its history. How can we conclude that something has failed when we have not tried it whole-heartedly in the first place? What type of experimentation is that? I believe the opponents of ethnic federalism know very well that what exists in today’s Ethiopia is not any form of federalism but an absolutely centralized TPLF dictatorship. They are blaming the form instead of the substance. They are attempting to use the current TPLF war on the Oromo people in Eastern and other parts of Oromia as an opportune moment and the casus belli for the war they have already declared anyway on ethnic federalism. It is hard to fathom but one dares to ponder that the opponents of ethnic federalism are so gullible that they would believe that Ethiopia’s multifaceted and multilayered complicated problems would vanish in one day were the TPLF take off its veil of fake federalism and come out naked for what it truly is; namely, the worst dictatorial centralist regime Ethiopia has ever known. The elaborate TPLF spy network that has been installed throughout Ethiopia spanning from the TPLF politburo all the way down to the infamous one-to-five (1-2-5) structure is an irrefutable testimony to the absolute dictatorial centralism under which the TPLF regime has been ruling and plundering the Ethiopian people since it controlled the state power in May 1991. This is the truth in the today’s Ethiopia. However, the truth doesn’t matter for the opponents. They have the propensity to kick the truth aside if it is doesn’t serve their political purposes. Their untenable and feeble argument about the failure of federalism (whatever its form may be) in Ethiopia falls flat in the face of the reality on the ground in Ethiopia. The reality in Ethiopia has been out there for everyone to see with his/her naked eyes without any need for a visual aid. For the last 26 years, Ethiopia has been suffering from a super centralized TPLF autocratic, barbaric and terroristic rule. The opponents’ argument makes sense if and only if we accept a hypothetical premise that Ethiopia has had a democratic system for the last 26 years. Otherwise, how can we blame ethnic federalism as the cause of the crises we are seeing unfolding in Ethiopia today or for the last 26 years for that matter because federalism never works without democracy? If we don’t accept the premise that Ethiopia is a democracy today, then blaming ethnic federalism for the country’s crises is not only absurd but it is also like indicting someone who has nothing to do with the crime. In fact, pointing finger to the ethnic federalism is in tune with what the terrorist TPLF propagandists are attempting in vain these days to hoodwink and make us believe with a vivid intent of deflecting the focus away from the real issue – themselves. In a nutshell, the opponents’ argument doesn’t stand to reason nor to any meaningful scrutiny. It is rather an intentional misrepresentation of the facts on the ground in order to divert our attention away from the real problems the country has been facing and their immediate and longstanding causes. Just for the sake of argument, let us assume that what the opponents say is true and agree to abandon our efforts to institute a genuine ethnic federalism in Ethiopia. If that is the case, then it automatically begets that we have to also abandon our struggle for democracy because democracy has also failed in Ethiopia today. I hope the opponents would not argue with the same zeal as they do against ethnic federalism that democracy is flourishing in Ethiopia under the TPLF rule. If the opponents are arguing that the democratic experimentation has succeeded but it is only the ethnic federalism that has failed in Ethiopia today, then it is worth considering going to other forms of federal systems. However, if the opponents of ethnic federalism agree that democracy has also failed in Ethiopia today, then there is a fallacy in their argument because true federalism (whatever its form may be) cannot be implemented without democracy. Democracy is an essential pre-requisite for any form of federalism. If the opponents of ethnic federalism accept the premise that democratization has failed in the TPLF ruled Ethiopia, are they also telling us with the same breath to forgo our struggle for democracy and leave Ethiopia and the Ethiopian people at the mercy of the barbaric, plunderous terrorist TPLF? Otherwise, if they accept the glaring truth that there is no democracy in Ethiopia, then they have to shift their accusing fingers to the failure of the democratization process and the TPLF instead of the non-existent ethnic federalism. There is an Amharic saying that goes something like ‘searching for dung where no cow has been”. I would like to conclude by stating the obvious at the risk of sounding redundant and repetitive. The reality is that what have failed in Ethiopia over and over again for over a century are dictatorship and centralism. Ethnic federalism is the only realistic antidote not only for the birth defect and chronic ailments Ethiopia has been suffering from since its inception but for its unique multicultural nature and its recorded history of ethnic repression as well. We understand that the pre-TPLF Ethiopia for which the opponents of ethnic federalism in Ethiopia are nostalgic was a heaven for them but that doesn’t mean it was the same for everyone. The pre-TPLF and the TPLF Ethiopia is the same hell for the majority of the Ethiopian people. We, in the freedom camp, are striving to create an Ethiopia that is free, fair and just, an Ethiopia that treats all its citizens equal, an Ethiopia that is democratic, multicultural and ethnic federalist that we all call home and be proud of. According to a local online-based newspaper named Addis Standard, Mr. Abadula Gemeda, the Speaker of the Ethiopian House of Peoples’ Representatives, has resigned from his position. Addis Standard, through its Twitter account, broke the news a little an hour ago, at 9:49am local time (with the Ethiopian traditional day-hour counting, it was 3:49 in the morning when the news came). Here’s the Twitter published by @addisstandard, and its Facebook post. UPDATED: The online-based newspaper indicated that one of the reasons for the resignation of the Speaker was his protest over the federal government’s handling of the security issues in the Oromia-Somalia border; the border crisis had resulted in the displacement of more than 50,000 people in the Oromia-side alone. BBC Afaan Oromoo: Abbaa Duulaa Gammadaa: Jeneraala, Pireezidaantii, Af-yaa’ii … Achii hoo? Posted by OromianEconomist in Athleteics, Athletic nation, Oromo women, Uncategorized. Three-time Olympic gold medalist Tirunesh Dibaba has won the women’s field of the 2017 Bank of America Chicago Marathon. Dibaba beat out defending champion Florence Kiplagat, keeping her from winning her third consecutive Chicago Marathon. Dibaba recorded her fastest marathon earlier this year in London, coming across the finish line at two hours, 17 minutes 56 seconds. She is currently the third fastest woman running distances longer than 42 kilometers. Dibaba picked up three gold medals and three bronze medals from the last four Summer Olympic Games. Africa News: Aside her gold medal, Dibaba will walk away with $100,000 prize money. The second and third candidates get $75,000 and $50,000 respectively.